Esco Group aims to invent, discover and commercialize enabling technologies to make human lives healthier and safer. Our focus is centered on life sciences equipment, medical devices, and bioprocessing tools and services. 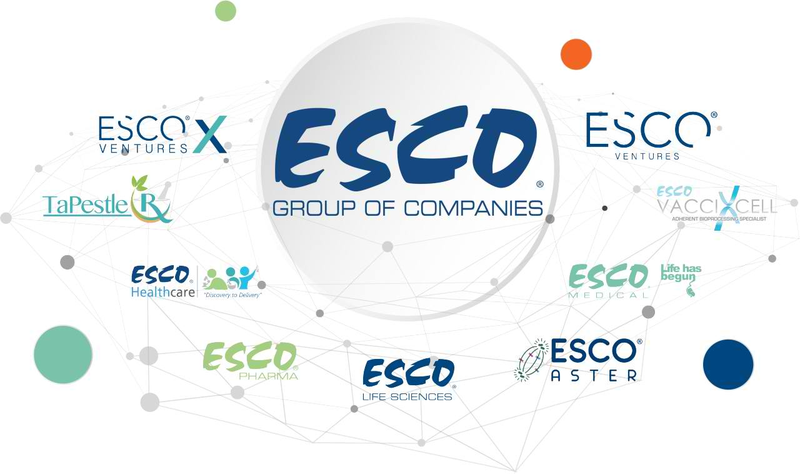 Esco Group is comprised of over 30 companies with proprietary products and services sold in more than 100 countries worldwide. At Esco, we strive to innovate technologies which address unmet needs. We continuously challenge ourselves to break new grounds in the life sciences arena by leveraging on the diverse expertise from our different business units. We constantly find new innovations in medical and biotechnology, and together with our life sciences equipment production capability, completes the Esco’s life sciences ecosystem. We want you to get involved, and with this we have launched the Esco Group website which allows you to learn more about the Group and our mission. We would like to work with like-minded partners to join us in our quest to build a global life sciences ecosystem. We also welcome investors to speak to us and learn more about what we do in Esco Group.